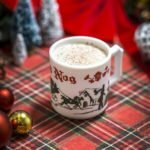 Who says the Christmas spirit is a thing of the past? 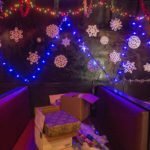 In the cocktail world, it’s been growing exponentially since the unwrapping of the “Miracle” pop-up bar concept in 2014 in New York City. Palm Beach County will double its pleasure this year when Delray Beach’s Death Or Glory not only brings back the popular six-week holiday food-and-drink festivities, but also expands to a new location in downtown West Palm Beach. 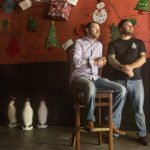 “Miracle on Delray Beach” and “Miracle on Rosemary” both launch Friday, Nov. 23, the latter popping up in the former Burger & Beer Joint space that has been closed since spring 2017. 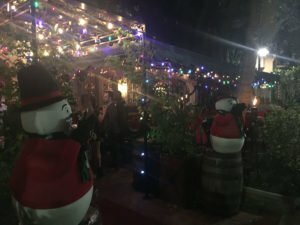 Miracle on Delray Beach at Death Or Glory: 116 N.E. Sixth Ave. in Delray Beach. Go to DeathOrGloryBar.com or call (561) 808-8814. Also on Instagram and Facebook. Open daily from 4 p.m. to 2 a.m. Street, lot and valet parking available. Miracle on Rosemary at CityPlace: 550 S. Rosemary Ave., Suite 158, West Palm Beach. Go to CityPlace.com or call (561) 808-8814. Also on Instagram and Facebook. Open daily from 11 a.m. to 1 a.m. Street, lot and valet parking available. Note: A shorter version of this story ran in The Palm Beach Post. The CityPlace location is on the east side of Rosemary Avenue, just south of Hibiscus Street. It’s conveniently right next to the valet parking stop for the entire shopping and entertainment complex. Many bars and restaurants have come and gone in CityPlace, but it’s unlikely the venue’s shoppers and moviegoers have seen anything quite like Miracle. 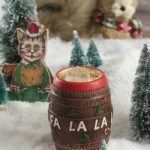 Featuring more than a dozen whimsically themed craft cocktails and gastropub food items, the 4,200-square-foot bar is festooned with kitschy Christmas decor from floor to ceiling. The venue seats more than 150, with large bars both inside and outside plus comfy booths throughout. 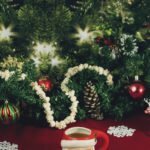 Holiday music will play on a nonstop loop, featuring everything from classic Christmas crooners to the Ramones. 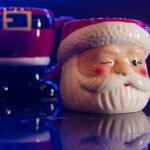 And you may even run into “Bad Santa” serving his own special drink. 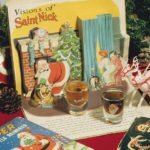 The menu definitely leans toward the naughty side, with potent drinks for all tastes including And A Partridge In A Pear Tree (tequila), Koala-La La La, La La La La (gin), Jingle Balls Nog (cognac), Snowball Old Fashioned (rye), Christmas Carol Barrel (rum), Christmopolitan (vodka), and Gingerbread Old Fashioned (bourbon). All are served in distinctive mugs and glassware that you can take home with you. Among the dozen items are a Chinese Turkey entree of Peking duck breast and Feast of the Zero Fishes featuring vegan jackfruit “crab” cakes. “They’re all named after scenes from Christmas movies or songs,” Steel said. The menus at both locations will be mostly the same, Steel said, with the CityPlace selections tailored slightly to the specific equipment in the Rosemary kitchen. Getting the kitchen up and running has delayed the debut of the food menu until Tuesday, Nov. 27. 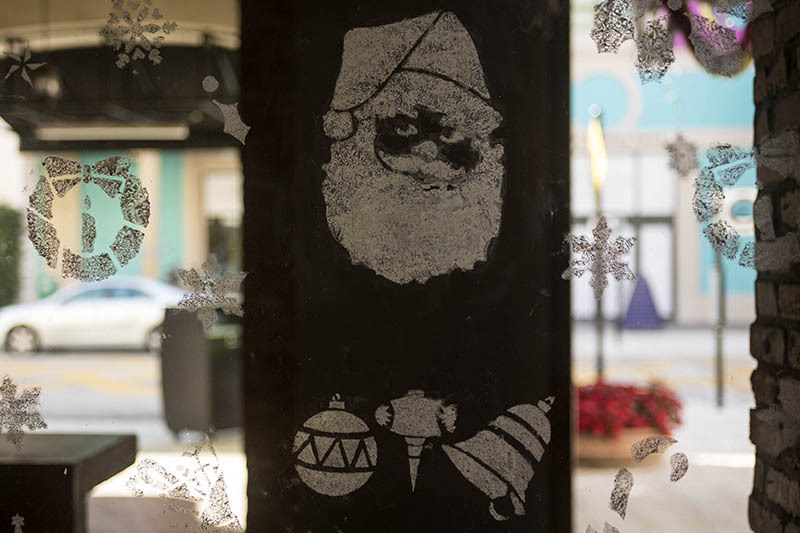 Miracle on Rosemary will be open from 11 a.m. to 1 a.m. and will feature an all-day menu of small plates, appetizers and entrees. Steel also brought along some of his signature items from Death Or Glory, including the crispy chickpeas and fried brussels sprouts. For the brunch crowd, there will be special Bloody Marys featuring Ketel One Botanical Vodka. Bouchard said he’s also planning a lineup of Moscow Mules featuring the low-ABV infused peach, grapefruit, and cucumber mint vodkas. “It’s almost like a gin, but it doesn’t have the juniper in it,” he said. Classic Moscow Mule mugs will also likely be employed. 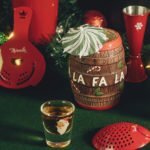 Other spirit brands will be featured with promotions and unique cocktails, he said. 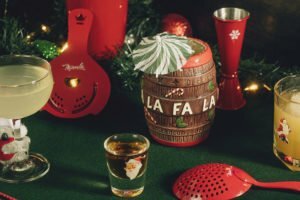 All of the mugs and glassware will be available for purchase, including the signature Santa pants, the festive double rocks glass for the Old Fashioned, a Collins glass, and more. “Everything is Christmas themed,” Bouchard said. To spice things up, a costumed Bad Santa will crash the party, serving up batched cocktails from a keg in his sack. Guests can take a souvenir picture with Santa, or visit the selfie station out front. But perhaps the biggest and baddest promotion will occur from 6 to 8 p.m. on Dec. 5, when Monkey Shoulder Whiskey will park a cement truck dubbed the Monkey Mixer in front of the bar on Rosemary. Instead of a cement drum, the truck will feature a giant rotating cocktail shaker that will serve up 2,400 gallons of whiskey cocktails. You can also catch the mixer at Death Or Glory on Dec. 10 from 6 to 8. Fans of last year’s Miracle on Delray will not be disappointed as Death or Glory plans no major changes, co-owner Ayme Harrison said. 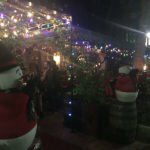 Look for the giant inflatable snowmen billowing snow (actually soap flakes) onto Federal Highway in front of the restaurant, just north of Atlantic Avenue in the historic Falcon House. 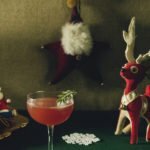 Death or Glory was honored earlier this year as one of 10 nominees for Best New American Cocktail Bar at the prestigious Spirited Awards at Tales of the Cocktail in New Orleans. The restaurant’s full food menu will be available during the six-week Miracle run, along with many of the bar’s regular craft cocktails. 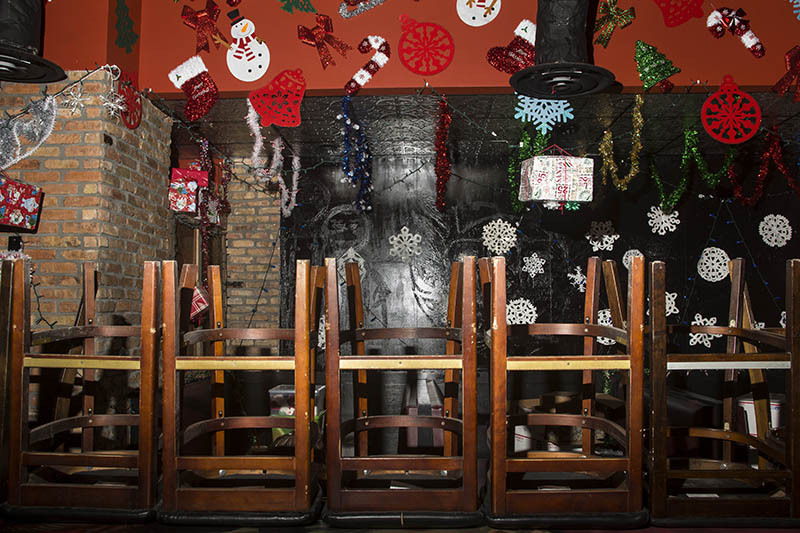 The only casualty of the holiday onslaught is the outside bar’s Tiki menu, which will be on hold until Jan. 1. After the closing of her Kreepy Tiki Lounge in Fort Lauderdale, Harrison opened Death or Glory in April 2017 with veteran Miami bar owners Isaac Grillo and April DeVona, plus Annie Blake of Cocktail Kingdom. 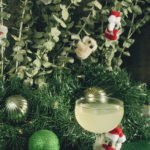 Blake’s boss at the noted barware and book purveyor, Greg Boehm, created the “Miracle on 9th Street” pop-up with modest aims at one New York City bar (Mace), enlisting the mixology talents of bartender Nico de Soto. Miracle manager Joann Spiegel also helped create the current menu and Cocktail Kingdom produces all the glassware. With the Rosemary bar and restaurant space vacant for more than a year, CityPlace officials reached out to Death Or Glory about doing a pop-up. 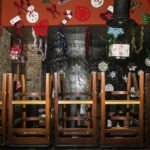 Burger & Beer Joint closed in spring 2017. Previously, it was a Brass Tap franchise location that closed in the fall of 2014. 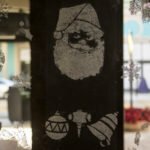 Don’t be surprised if you see some of your favorite local bartenders behind the stick at Miracle on Rosemary. 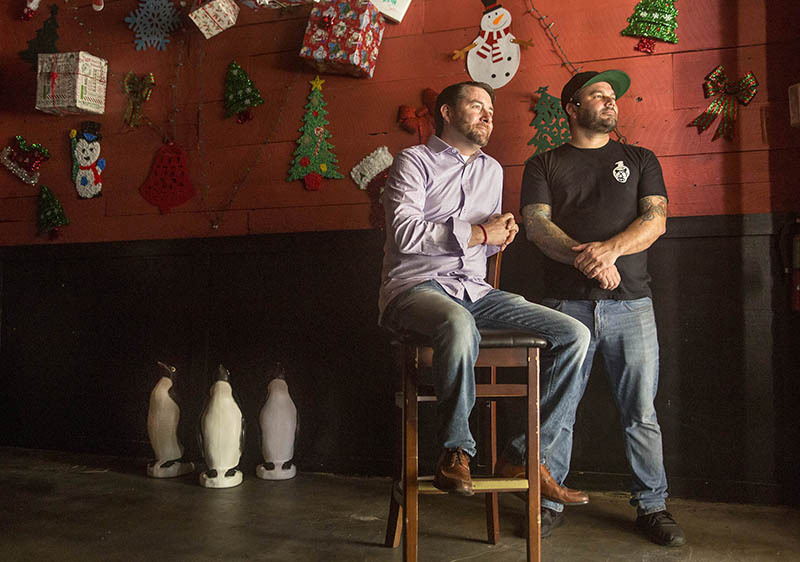 When it came time to hire staff, Harrison and Bouchard simply tapped into the area’s existing bar talent. “We felt terrible hiring people for only six weeks, so we reached out to all of our friends at other bars,” Harrison said. The total staff should top 30, Steele said, including six cooks and six bartenders per day. They’re prepared but know huge holiday crowds will flock to the unique establishment. The Rosemary Avenue space was always a beer-driven, pub food venue so it already had a kitchen and rustic design. CityPlace is in the midst of a major refurbishment to make Rosemary Avenue more pedestrian friendly, so beware of construction in the area. There are plenty of lots and street parking nearby, and the Clematis Street bar and restaurant district is within walking distance. In order to open the six-week pop-up, state regulations required the purchase of a liquor license for the full year. It’s a special license granted to existing venues for a specific space. Death or Glory leased the space for just the six weeks, but since they hold the license they could do more pop-ups there in the future. “We’re just doing the first one to see how it goes,” Harrison said. The first step is getting Miracle up and running smoothly. The volume and scope of opening the pop-up from ground zero is enormous. Most of the other Miracle locations are existing bars. Bouchard and Steele have been working on the Rosemary venue’s opening for weeks, hanging decor, prepping the bar and kitchen, dealing with logistics. Both will be hands-on during the entire run while Harrison will work with her crew in Delray. “Truth is, we’re opening a brand new restaurant,” Bouchard said. A 20-year veteran of the industry, he’s had some experience with that. The Connecticut native came to Palm Beach County in 2014 to start the beverage program at The Cooper in Palm Beach Gardens. He worked with chef Lindsay Autry at The Regional in CityPlace after being part of the opening team at Death Or Glory. He came came back to Death Or Glory two months ago to serve as beverage director. At Miracle on Rosemary, he’ll be in the trenches with the rest of the team. “I’ll be behind the bar quite a bit,” he said. 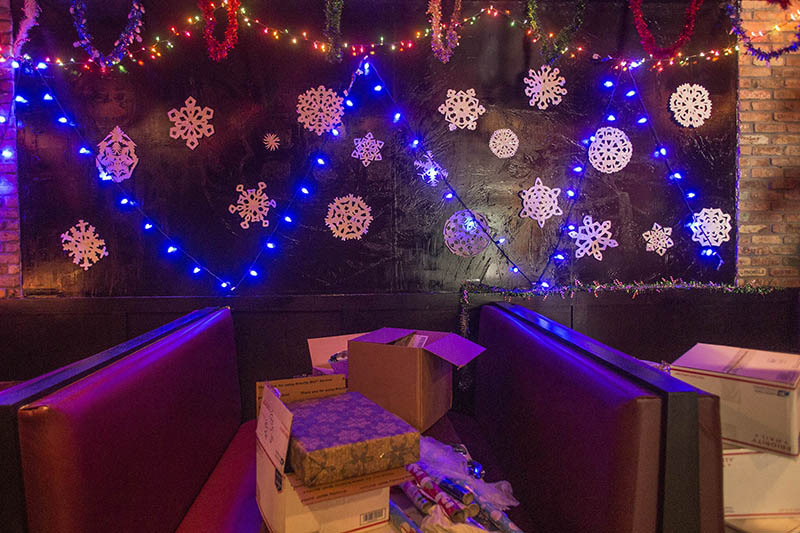 While Miracle provides guidance, decorating the space is a DIY affair. The Death Or Glory staff painted the walls red, then went wild with the decor. Harrison said they look everywhere for ideas, from thrift stores to Amazon and eBay. 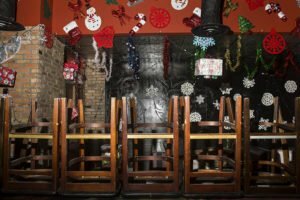 The Miracle team provides glassware, candle holders, menus and artwork but the local locations have free reign to decorate as they see fit. “They tell us to go as crazy and over-the-top as we can,” Steel said. The chef also got creative with the design of his food menu. “It’s going to look like letters to Santa,” he said. 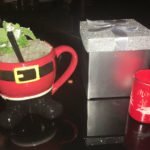 Creating the cocktails can also become a treasure hunt. The bar staff must make everything in-house from scratch, from the pumpkin pie syrup in the Bad Santa to the marshmallow orgeat in the Yippie Ki Yay Mother F****r! Harrison said they had to search high and low before they found eucalyptus and pine needles. “Most of the recipes for Miracle are really whimsical and over-the-top in terms of creativity,” Bouchard said. 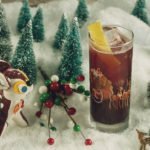 The Christmopolitan was last year’s best-seller at Death Or Glory. 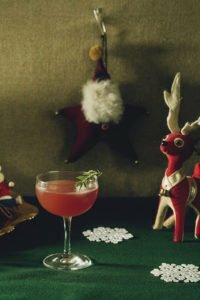 Featuring vodka, elderflower, dry vermouth, spiced cranberry sauce, rosemary, lime and absinthe mist, it’s a much more complex version of a Cosmo, but “not too far off the reservation,” Bouchard said. Three drinks from last year have been put back into holiday storage, while four new ones have joined the party. 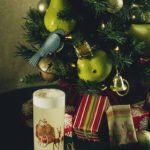 New for 2018 are And A Partridge In A Pear Tree (reposado tequila, pear brandy, mezcal, spiced brown sugar, lime, egg white, club soda, Angostura bitters, cinnamon), Christmas Carol Barrel (aged rum, Aquavit, amaro, pumpkin pie, lemon, Angostura bitters), Gingerbread Old Fashioned (bourbon, gingerbread syrup, Elemakule Tiki Bitters, nutmeg) and Koala-La La La, La La La La (gin, pine, dry vermouth, lime, eucalyptus syrup, orange bitters). 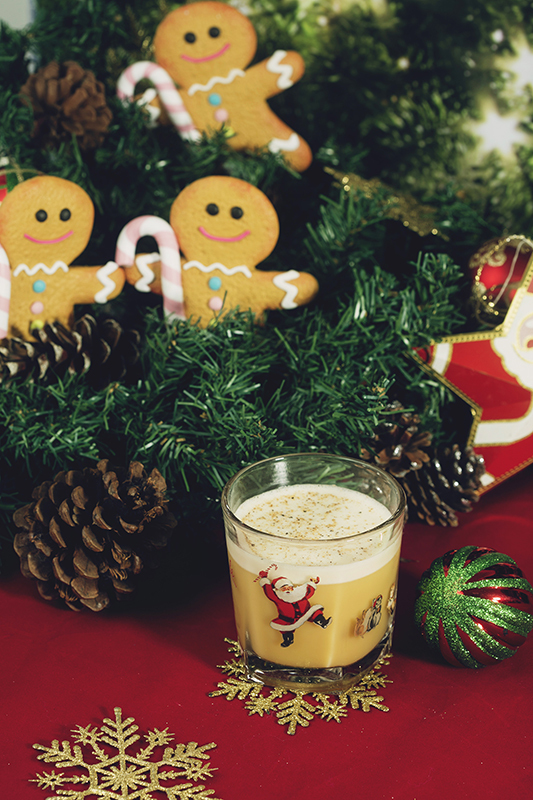 Many Miracle bars serve the Gingerbread Flip, a take on a decadent eggnog. 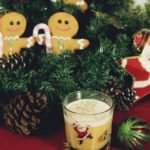 But keeping our temperate weather in mind, Bouchard said, the rich and creamy cocktail has been turned into an Old Fashioned, sans egg. It’s among several tweaks made to the Miracle menu. 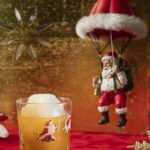 Death Or Glory’s frozen-drink machines will be employed to offer cool, slushy versions of the Jingle Balls Nog (cognac, Pedro Ximenez sherry, brown butter, cinnamon, cherry, vanilla, almond milk, cream, sugar, egg, nutmeg) and Bad Santa (milk punch with Barbados rum, Trinidad overproof rum, Batavia Arrack, pineapple juice, lemon juice, almond milk, 8 spices, coconut water, coconut oil), the latter of which is served hot in colder climes. “We just deemed that it was much better to serve it frozen here in South Florida,” Bouchard said. Lacking the slushie machine, both will be served shaken with ice at the Rosemary location. Now in its fifth year, the Miracle concept has exploded from more than 50 locations last year to 80-plus around the world in 2018. Florida has the most of any state with nine, up from two in 2017. The next closest venue is the new Miracle in Miami at Gramps. 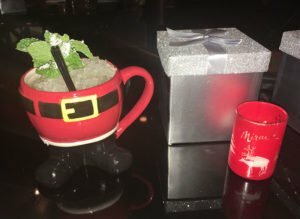 All Miracle pop-up bars run from Nov. 23 through Dec. 31. 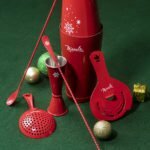 A full list can be found at MiraclePopUp.com. Of the more than 80 locations worldwide (including Canada, Europe, Asia and Central America), 70 are in the United States. Other Florida pop-ups are in Gainesville, Jacksonville, Miami, Orlando, Pensacola, Sarasota and St. Petersburg. New from the Miracle team: A holiday Tiki bar pop-up on the same dates from noted author and bar owner Jeff “Beachbum” Berry at 11 U.S. locations. Sorry Florida, the closest is Atlanta. More at SippinSantaPopUp.com. This entry was posted in Cocktails, Events, Events, Food, Photo galleries, Restaurants, South Florida and tagged Ayme Harrison, Christmas, Cocktail Kingdom, Death or Glory, Miracle, Miracle on Delray Beach, Miracle on Rosemary, Sweetwater. Bookmark the permalink. Much love ❤️. Thanks for the write up.